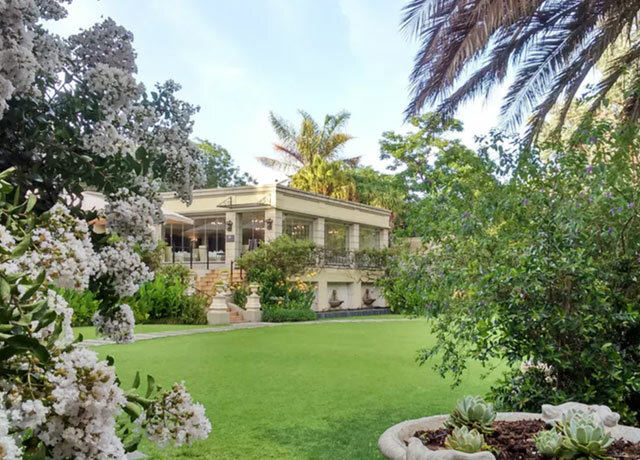 This tranquil sanctuary in the Johannesburg suburb of Sandton is near the international airport, yet a world apart—luxury suites, set among lush gardens, evoke traditional European ambience. Melding perfectly with the natural surroundings, eight comfortable tents with private outdoor baths are tucked into the trees for an authentic safari experience close to animals and far from crowds. 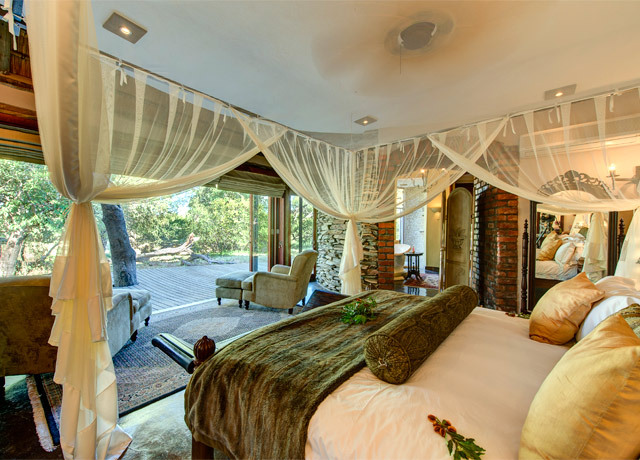 Set within the private 56,800-acre Manyeleti Game Reserve that shares an unfenced boundary with Kruger National Park, this elegant eight-suite lodge is ideally situated for wildlife encounters. With deep roots in an earlier safari era, this venerable camp has taken the essence of its history and translated it into one of the finest experiences of bush luxury in the private Sabi Sand reserve. 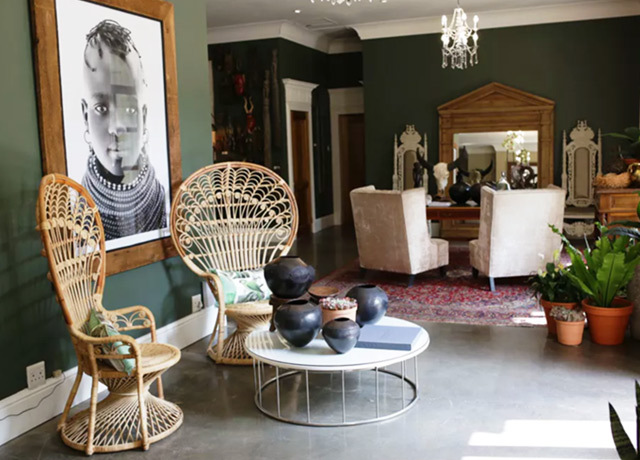 Fairlawns Boutique Hotel & Spa is an exclusive sanctuary within the commercial center of Johannesburg. 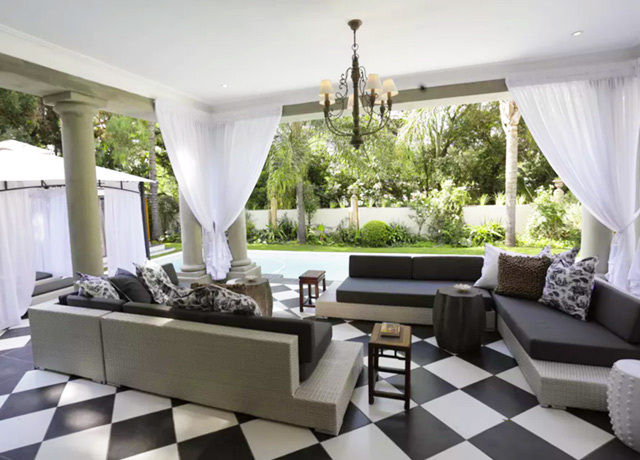 An oasis of tranquility yet conveniently situated in the Sandton suburb near O.R. Tambo International Airport, Fairlawns is an award-winning 5-star boutique hotel featuring an enticing selection of unique luxury suites that evoke period European ambience. 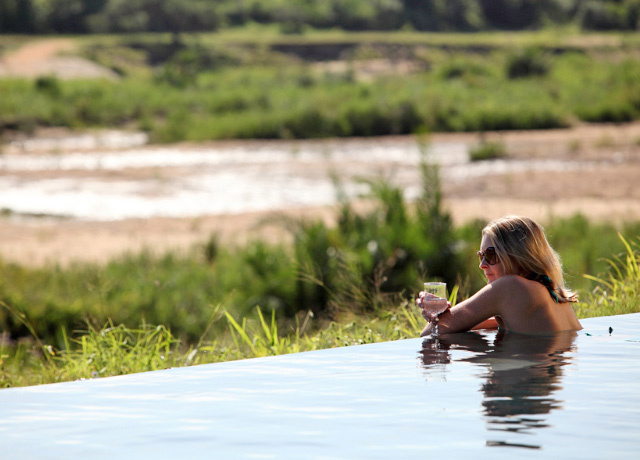 Rambling lawns, lush gardens and the inviting pool create an inviting haven for relaxing before or after a safari. Once the private home of the current live-in owners, the original Fairlawns occupied a 10-acre parcel with horses, stables and rolling green lawns. Today this all-suite inn retains its park-like ambience with large, mature trees and prolific birdlife. 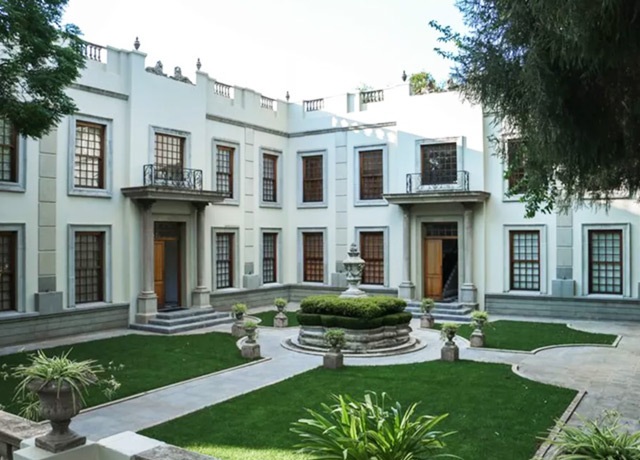 This exquisite setting offers guests exceptional tranquility with close proximity to the city center, as well as personal hospitality that makes you feel you are a guest at an exclusive private estate. 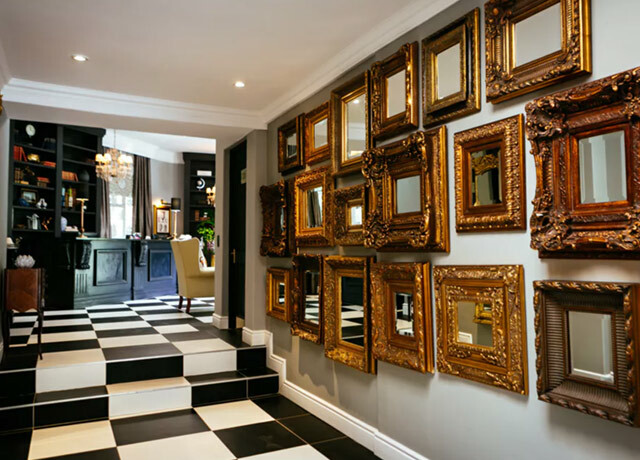 Each unique suite is a work of art in its own right, with refined decor in a variety of European period themes. From the spacious and opulent bathrooms to the goose-down duvets and pure cotton linens, comfort is of the utmost importance. Browse the well-stocked library, relax beneath the pool gazebos, and enjoy the gym and outstanding spa facilities set within an authentic Balinese garden. 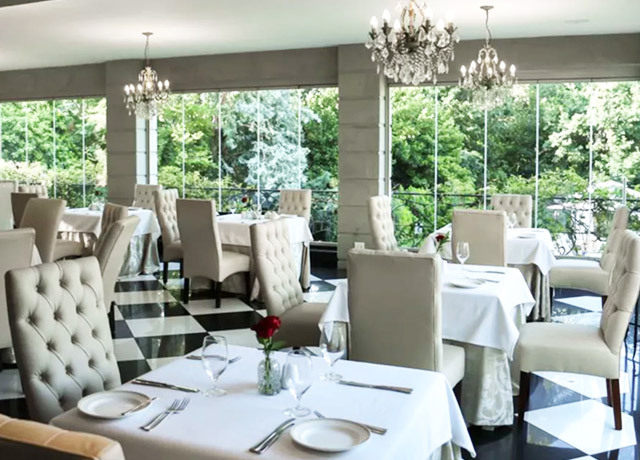 Candlelit tables and soft music provide an intimate and romantic atmosphere at the Terrace Restaurant. All suites have air conditioning, flatscreen TV, mini bar, safe, tea- and coffee-making facilities, 220v charging points with international adapters provided, direct-dial telephone, and Wi-Fi is available. Mashatu Tent Camp blends in so perfectly with its natural surroundings that you might miss it if you blink. It is the perfect choice for those who seek an intimate and authentic safari experience close to animals and far from crowds. Eight comfortable and spacious tents are privately tucked beneath the branches of enormous trees. Each tent includes an outdoor, yet very private, bathroom with shower. Guests love Mashatu for its casual, low-key atmosphere, which is conducive to camaraderie and relaxation. 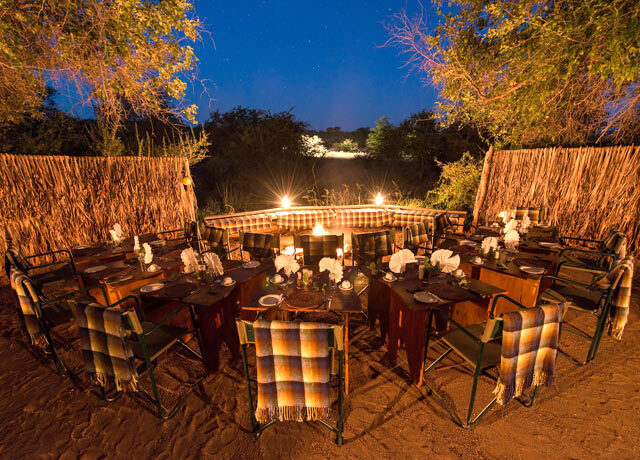 Meals are served in the open-air thatched gazebo, or in the outdoor boma overlooking a floodlit waterhole, where a variety of different species is spotted on a regular basis. A refreshing plunge pool provides welcome relief from the midday heat, especially during the summer months. An afternoon spent in the hide near the waterhole, enjoying some truly close encounters with the local wildlife, is an experience not to be missed. 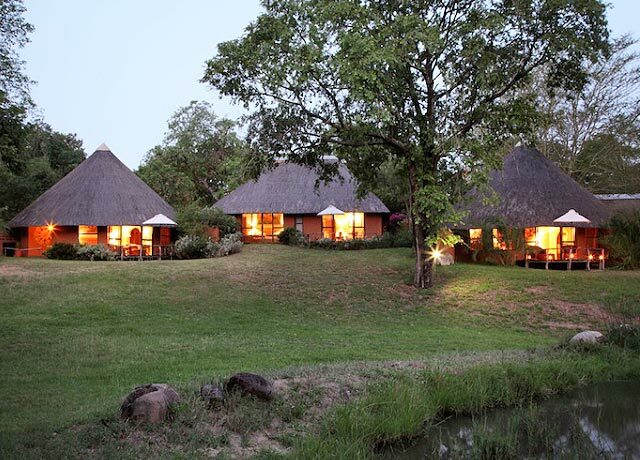 Set in the private 56,800-acre Manyeleti Game Reserve at the edge of Kruger National Park, with nary a fence separating it from the park’s predators and free-roaming taints, Tintswalo Safari Lodge is ideally situated for wildlife encounters. The lodge has the exclusive advantage of being inside a tract of private land where you can enjoy walks, nighttime wildlife drives and meals in the bush. Meanwhile, Africa's most sought-after animals graze as they've done for millennia, right at your doorstep. The lodge also shares unfenced boundaries with the Timbavati and Sabi Sand reserves and wildlife roams freely between these areas, maximizing your chances of seeing a wide variety of animals on every drive, including the Big Five—lion, leopard, elephant, rhino and buffalo—which roam this area. 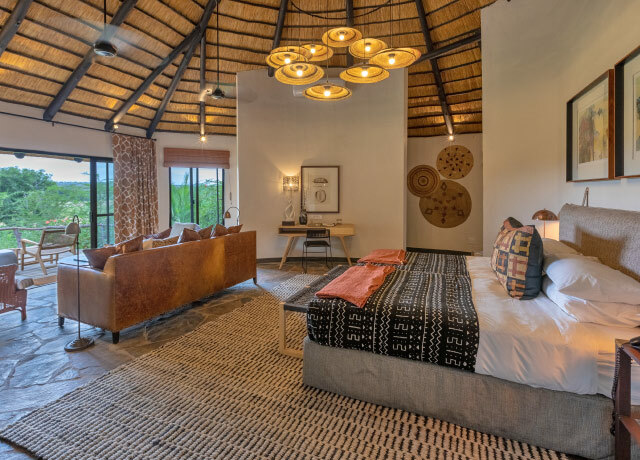 Though the spirit of MalaMala Main Camp is rooted in a much simpler safari age, the camp has taken the essence of its history and translated into one of the finest experiences in the Sabi Sand Game Reserve. The sepia photographs on the lounge wall weave in a tale of exploration from decades past, which is still there for guests to experience in the present day. 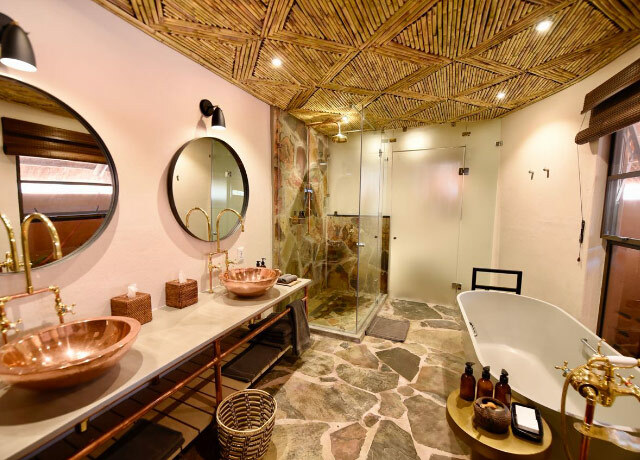 The camp's 18 luxury rooms and suites are constructed in a traditional thatched bungalow style, providing a cozy respite from the excitement of each day’s events in the bush. All have en suite facilities, individual temperature control and direct-dial telephones. 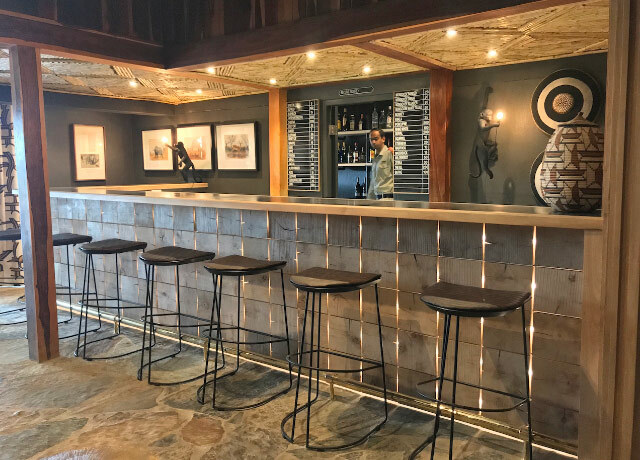 The common areas include a boma dinner area and an air-conditioned library with satellite television, Internet connectivity and DVD player—affectionately referred to as the Monkey Club. The Big Five—lion, leopard, Cape buffalo, elephant and black rhinoceros—are nearly a guarantee in MalaMala’s large private concession, where the Sand River winds its way through the old-growth riverine forests, providing sustenance for diverse wildlife. Exploration on foot or by vehicle offers thrills at every turn. 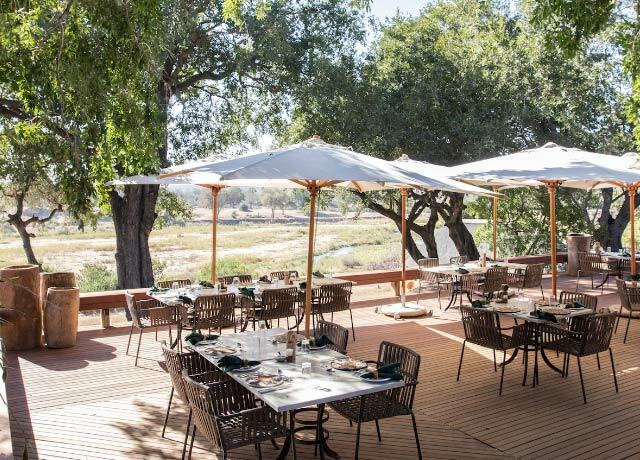 Afterward, guests return to the comfort of the lodge’s expansive lounge or sweeping deck with views of the river, or even a dip in the infinity pool. At each spot there are views to the bush so you can continue your wildlife viewing even from the lodge. Fill out the form below to receive additional information about our Hidden South Africa & Botswana or give us a call at 800-543-8917. 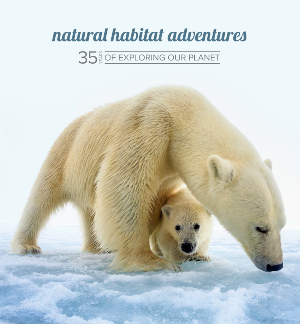 Hi Nat Hab, I’m interested in your Hidden South Africa & Botswana. Can you please contact me with more information?